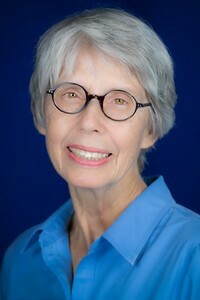 Joyce A. Benjamins, Ph.D. has served in the Department of Neurology since 1995. She joined the Department of Neurology in 1975, and has maintained an active research laboratory since coming to WSU. She has served on multiple scientific review boards for NINDS and the National Multiple Sclerosis Society, and currently serves on the editorial boards of three neuroscience journals and as a section editor for the textbook Basic Neurochemistry. Dr. Benjamins’ research interests are related to multiple sclerosis and other disorders affecting myelin. Her research projects investigate myelination, glial differentiation, glycolipid metabolism and function, and the roles of cyclic GMP and metabotropic glutamate receptors inprotecting oligodendroglia from injury. Currently she investigating the effects of glutamate receptor agonists and antagonists on disease outcome in an animal model of EAE. She collaborates with Dr. Lisak in studying the effects of cytokines on gene expression in CNS neurons and glia. 2248 Elliman Building 421 E. Canfield Ave.
Assistant Professor, Biochemistry, Biological Sciences Research Center, University of North Carolina School of Medicine, 1973-1975. Studzinski, DM and Benjamins, JA. Expression of P0 glycoprotein in CNS glia: effects of overexpression in N20.1 cells, Glia, 52: 526-532, 2005. Benjamins, JA, Hajra, AK and Agranoff, BW.Lipids in Basic Neurochemistry, 7th edition, eds. G.J. Siegel, R.W. Albers, S.T. Brady and D.L. Price; Elsevier Inc., San Diego CA , 2005, pp. 33-49. Boullerne, AI and Benjamins, JA. Nitric Oxide Synthase Expression and Nitric Oxide Toxicity in Oligodendrocytes. Antioxidants and Redox Signaling, 8:967-980, 2006. Benjamins, JA, Murphy E and Seyfried T, Lipids.In Basic Neurochemistry, 8th ed. Eds. G.J. Siegel, R.W. Albers, S.T. Brady and D.L. Price; Elsevier Inc., San Diego CA, 2011, pp. 81-100.